With over a foot of snow already on the ground and more still falling a Fort Washington man appears to have suffered a heart attack while shoveling snow at his home. At around 8:30 am, Firefighters and Medics from the Fort Washington Fire/EMS Station responded to the 1200 block of Sandy Bar Drive and found the man in cardiac arrest. Firefighters and Medics did their very best in attempting to revive the man, however, despite their valiant efforts he was pronounced deceased. 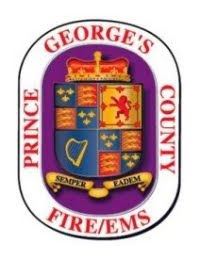 At around 10:30 am the Maryland Office of the Chief Medical Examiner (OCME-MD) confirmed to Prince George’s County Public Safety Communications that this was a storm related death. The Fire/EMS Department does not release the names of medical patient fatalities. Additional information can be obtained through the OCME. This winter storm has produced enough snow that clearing sidewalks, driveways and other areas will be a challenge to shovel, especially for those that have an existing heart condition and other medical conditions such as diabetes and high blood pressure and anyone over the age of 50. Limit shoveling to only a few minutes at a time, shovel smaller amounts, and take frequent breaks.